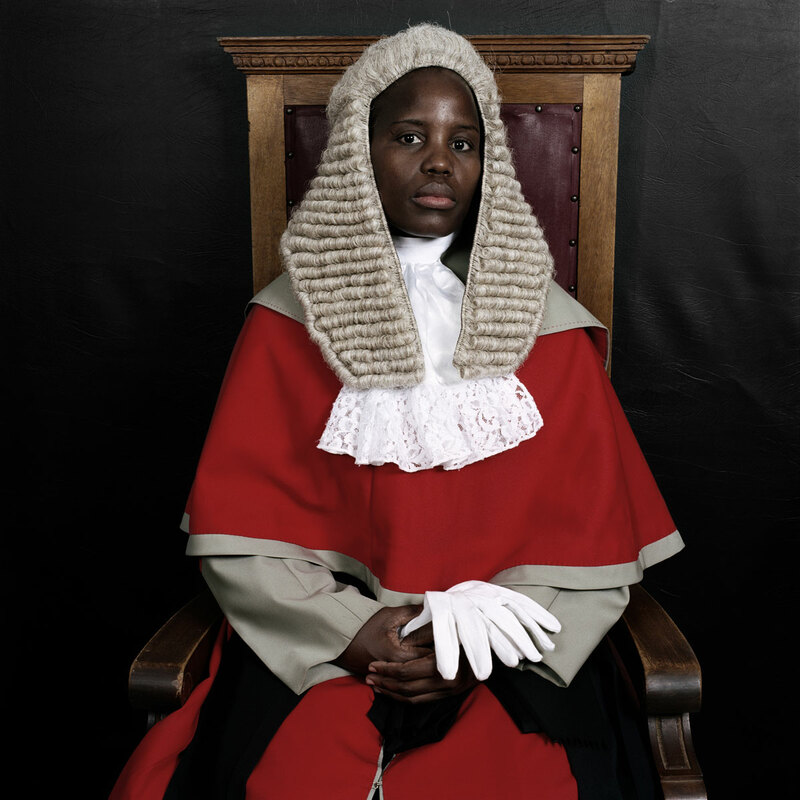 “Pieter Hugo’s (b. Johannesburg, 1976) career is quite young, yet his photography is already so comprehensive that we can rightly speak of a consistent oeuvre. 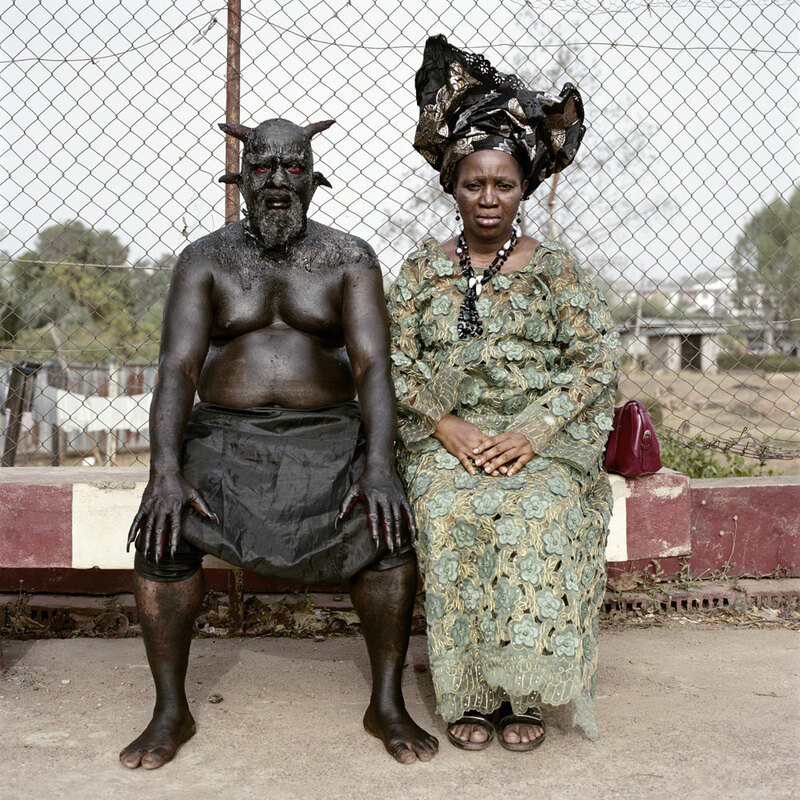 Since 2003 Hugo has photographed people and themes exclusively in sub-Saharan Africa. Daily life in post-colonial Africa, the complex conditions after the end of apartheid in his own land and the impact of global trade and commerce are themes that circulate throughout his intriguing series. Pieter Hugo spends long periods of time photographing his extensive series in order to capture intimate and often bizarre moments. His use of a large-format camera requires patience and trust between photographer and subject, which is visible in straightforward expressions and candid interactions. There is a moment of calm and even timelessness in these works that allows the viewer to engage more fully with the subject matter. 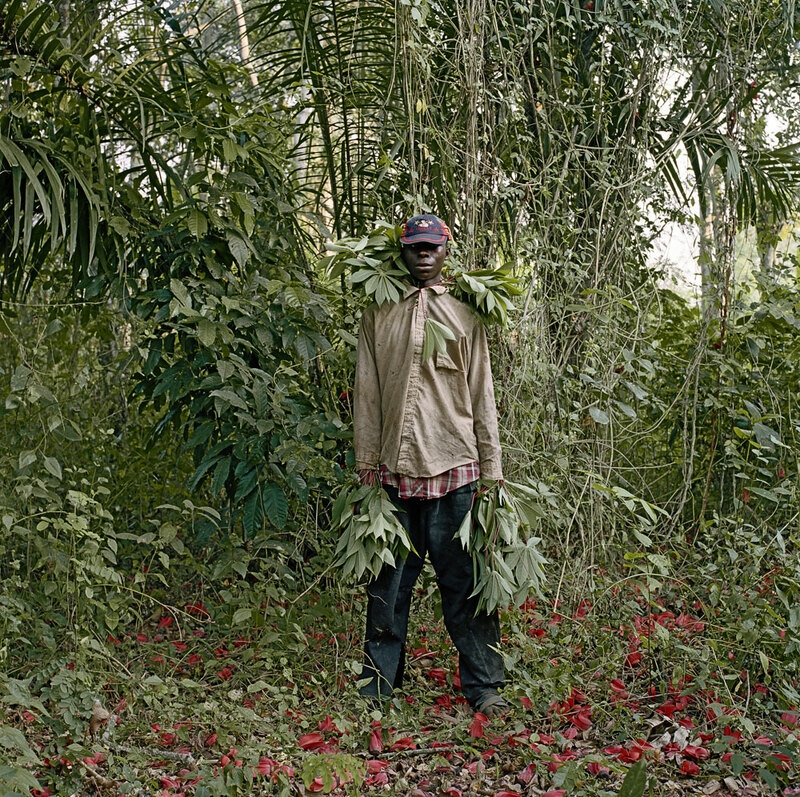 The political diversity of a continent that is rapidly transforming – some note that Africa will be a global economic power of the future – is portrayed by Pieter Hugo with the clarity of familiar painting genres such as landscape, portraiture, group portraiture and still life. 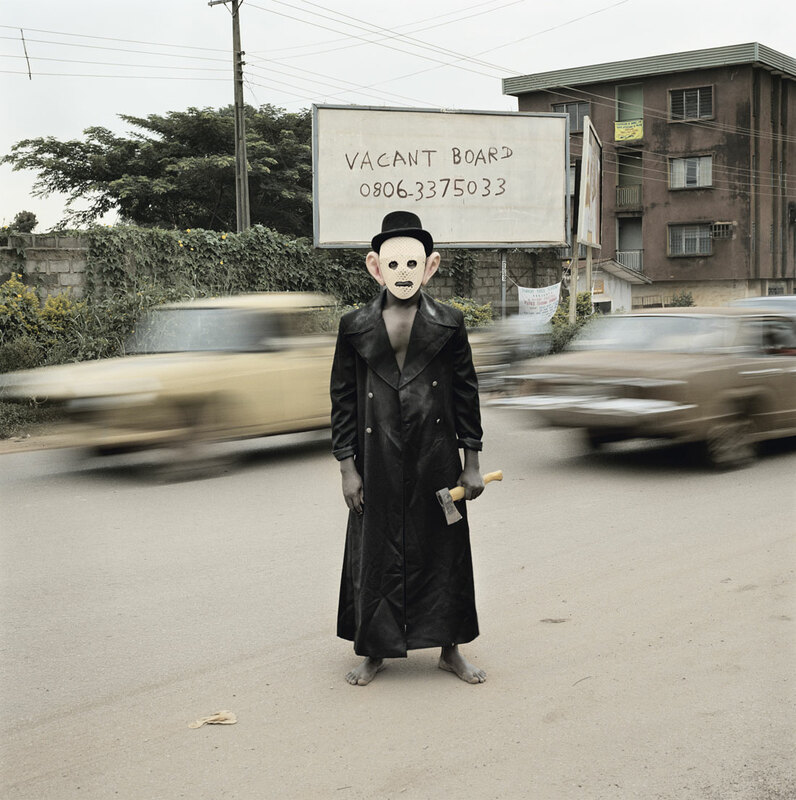 The subjects of his photography: the elderly, the poor, the blind, street artists, soap actors, close family and friends – form a social tableau that is at once personalized while also presenting a more universal image of Africa at the beginning of the twenty first century. 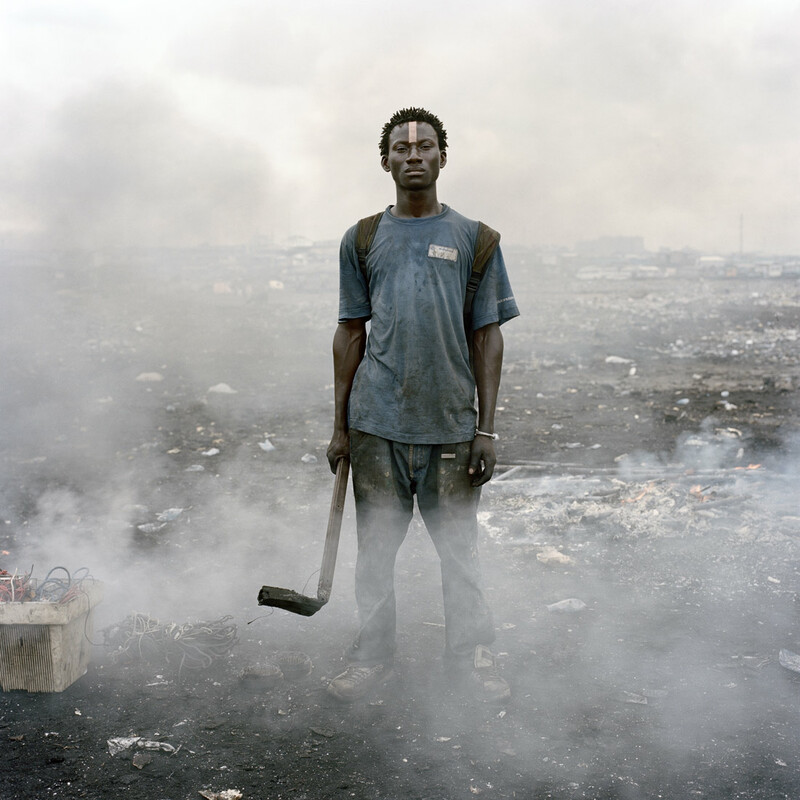 The initial motivation for the series The Hyena & Other Men (2005-2007) comes from a cell phone camera image Pieter Hugo discovered on the internet. 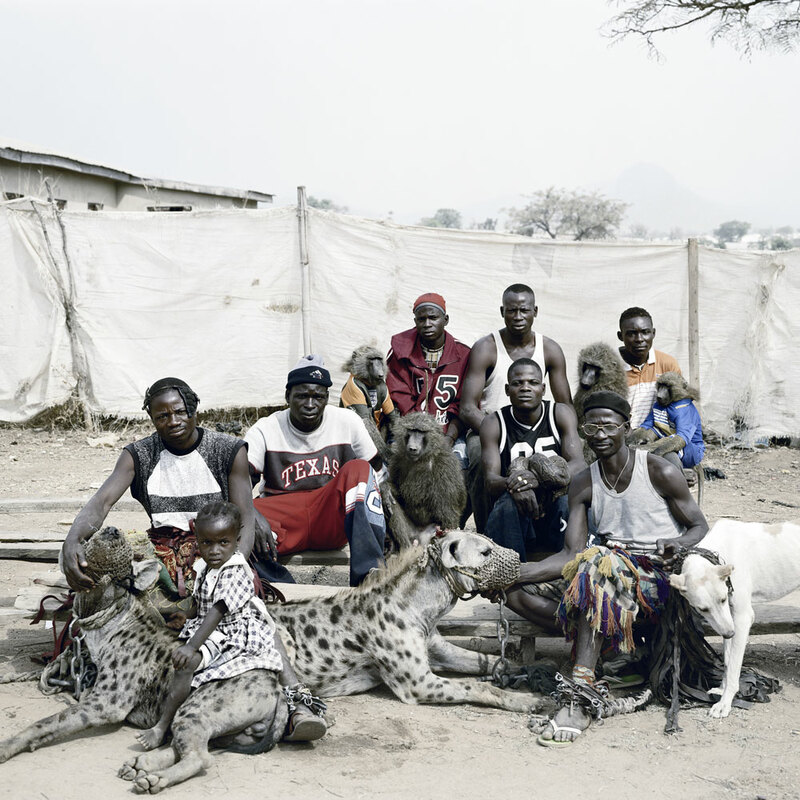 The image concerns a group of performers who travel throughout Nigeria with tamed hyenas and other wild animals and collect money from their choreographed public performances. Hugo embarked on two separate trips to document this remarkable nomadic group up close. Hugo presents the complex relationship between animal and owner, capturing moments of calm and tenderness amidst situations full of drama and spectacle. 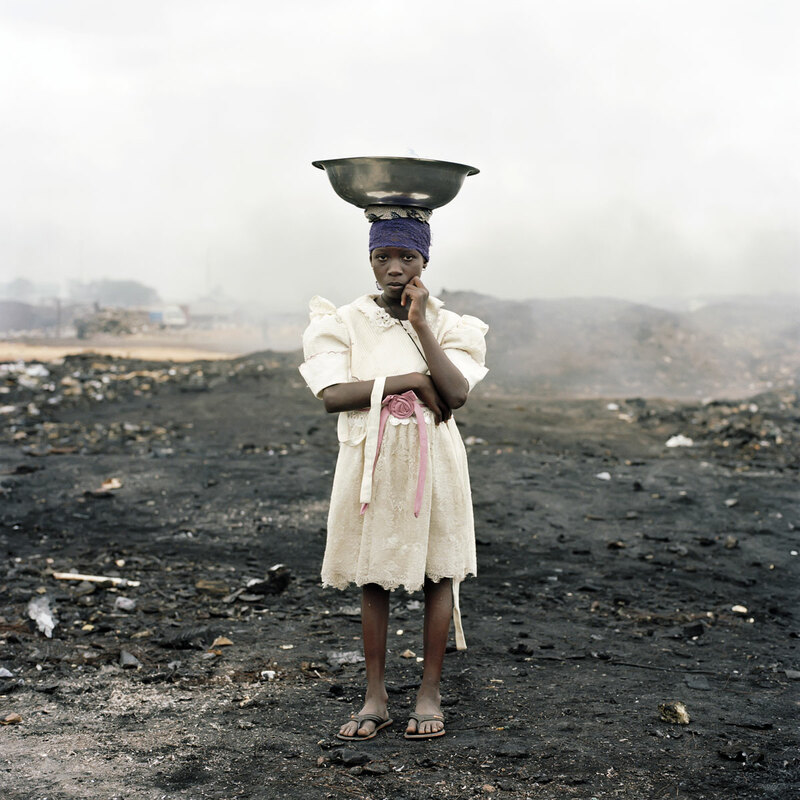 The Agbogbloshie market on the outskirts of Accra (Ghana) is the thematic of the Permanent Error series (2009-2010), which is mainly a dumping site for the technological waste of the western world. Here computers and other electronic equipment are collected and burned by inhabitants, often children, to extract precious raw materials. These machines formerly representing prosperity and progress are here transformed into only noxious and life threatening vapours. The charred ground, grey sky and scattered groups of foragers and cattle seem isolated from the world, but are in fact one of the last links in a chain of global commerce. Despite the harsh surroundings, the subjects stand tall, identified by full name and framed in the style of classical portraiture. Nollywood (2008-2009) is the third largest film industry in the world, releasing between 500 and 1,000 movies each year. It produces movies on its own terms, telling stories that appeal to and reflect the lives of its public: it is a rare instance of self-representation on such a scale in Africa. The continent has a rich tradition of story-telling that has been expressed abundantly through oral and written fiction, but has never been conveyed through the popular media before. Stars are local actors; plots confront the public with familiar situations of romance, comedy, witchcraft, bribery, prostitution. The narrative is overdramatic, deprived of happy endings, tragic. The aesthetic is loud, violent, excessive; nothing is said, everything is shouted. At a morgue in the township of Khayelitsha in Cape Town, Pieter Hugo turns his camera to individuals who have died of AIDS related illnesses. In The Bereaved (2005) as with many of his other series, Hugo gives first and last names of his subjects. Such a personal statement challenges the anonymity of AIDS statistics in South Africa. Ten years after the Rwandan Genocide, Pieter Hugo captures the unimaginable violence of these events through leftover fragments (Vestiges of a Genocide, 2004). The absence of human life is disturbingly present in the images. Bones are preserved with lime so as not to disintegrate. Heavy dust and dirt create an organic seal over the remains. While these substances often signify what is past and forgotten, the items in the photographs are preserved artificially and naturally for all to remember. The series entitled Messina / Musina (2006) deals with the inhabitants of a small town on the border of Zimbabwe in South Africa’s Limpopo Province. The title reflects the correction of an earlier colonial misspelling of the town’s name (Messina), as well as the transition taking place at this geographical and social periphery. 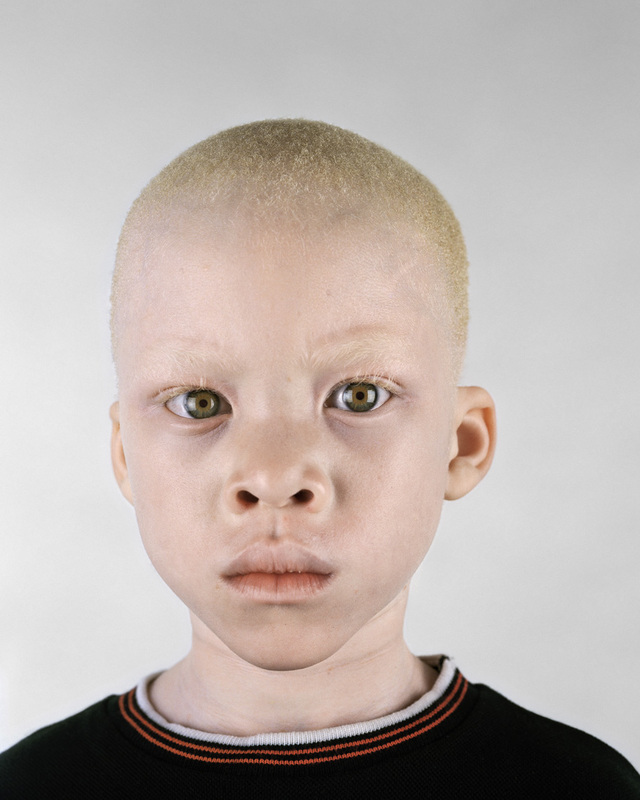 In Pieter Hugo’s studio portraits of the elderly, the blind and people with albinism – Looking Aside, 2003-2006 – there is a direct and confrontational engagement between the viewer and the subjects. 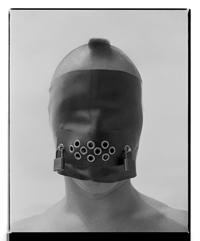 The viewer is made to feel uncomfortable and immobilized by the subject’s gaze. In There’s a Place in Hell for Me and My Friends (2011) – a recent series of portraits realized in the same spirit and adopting a stripped back, close-up and confrontationally direct approach – Hugo explores similar territory [to his earlier series Looking Aside] but from practically the opposite angle. In this case, the subjects are simply the photographer and his friends, who represent an array of ethnicities but are not particularly atypical, abnormal or ‘unusual’ in a genetic sense. 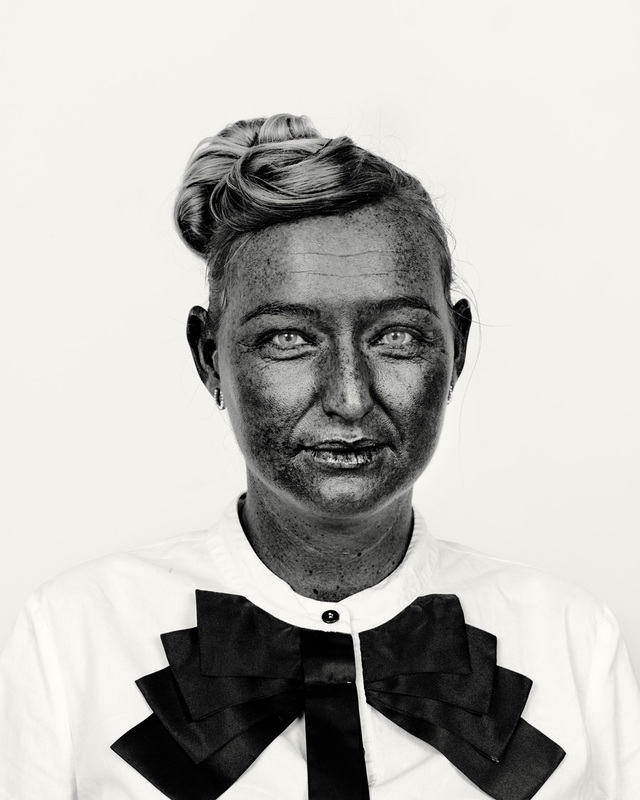 Instead they are rendered unusually, portrayed in a heightened monotone with their skin transformed into a range of exaggerated black spots and dark tones.